This kitchen was dark and divided. The “U” shaped layout and wall cabinets over the range split this otherwise large room into two areas. The wall cabinet height did not leave room for crown molding, which adds a nice finishing touch. The house trims were stained a dark color along with the fireplace molding and the oak cabinetry needed to be replaced. Existing kitchen is a “U” shape which feels small and cramped. Peninsula wall cabinets divide the kitchen from the den area. 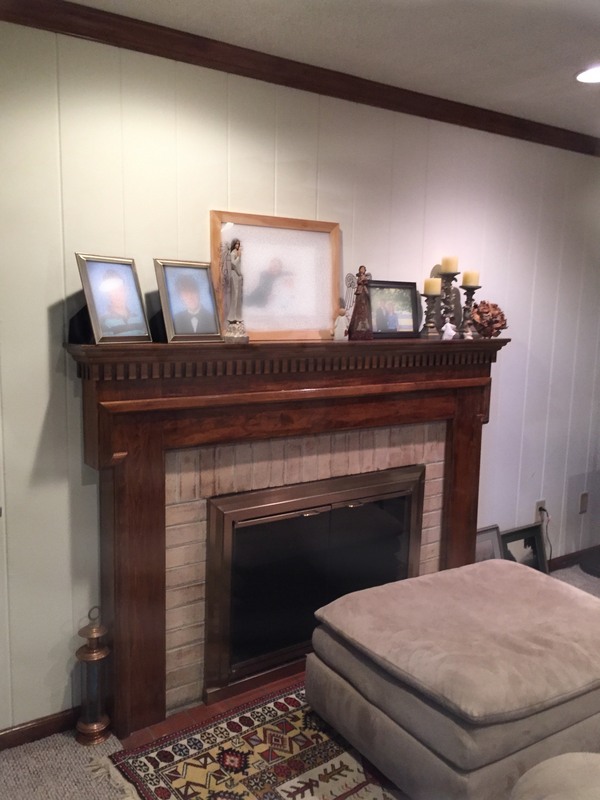 Existing fireplace is in need of an update. A long, rectangular island merges the kitchen with the den area and allows for an integrated table for dine-in eaters. The former “U” shaped layout is replaced with an open plan that allows movement throughout the kitchen. The quartz countertop blends a glazed, painted finish with a deep stain on the island seamlessly. Continuing the new laminate flooring throughout the kitchen and den area creates a unified space. A new window at the sink along with a new fireplace mantle and surround completes the updated look. 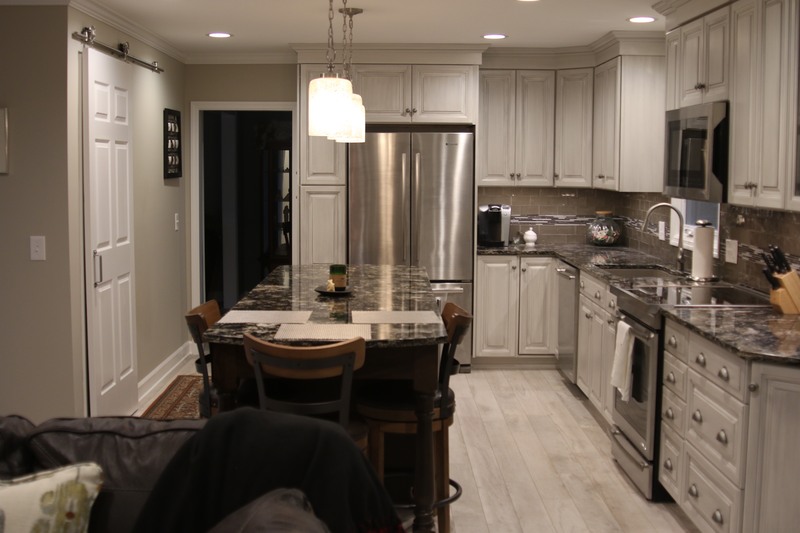 An island adds a built in seating area along with extra prep surfaces. Kitchen expands into den area and increases the openess of the room. 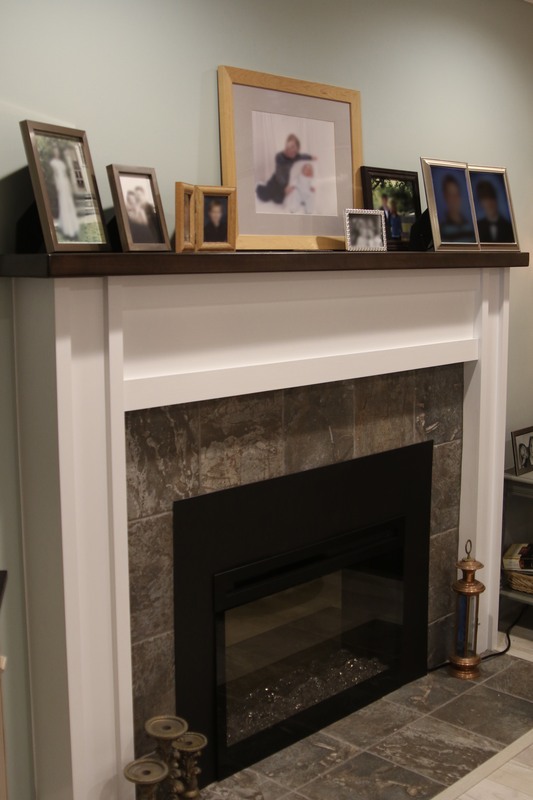 A new mantle and surround modernizes the fireplace and restores it as a focal point in the room. 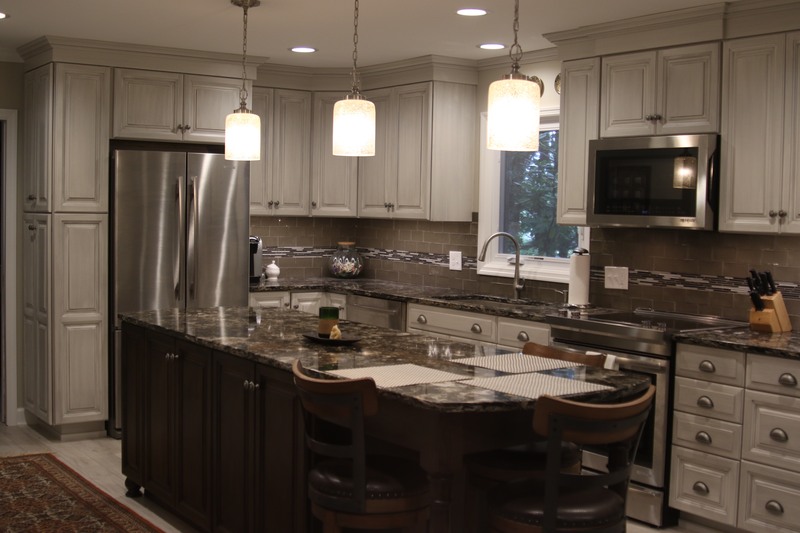 The possibilities are endless with the right kitchen design and finishes! 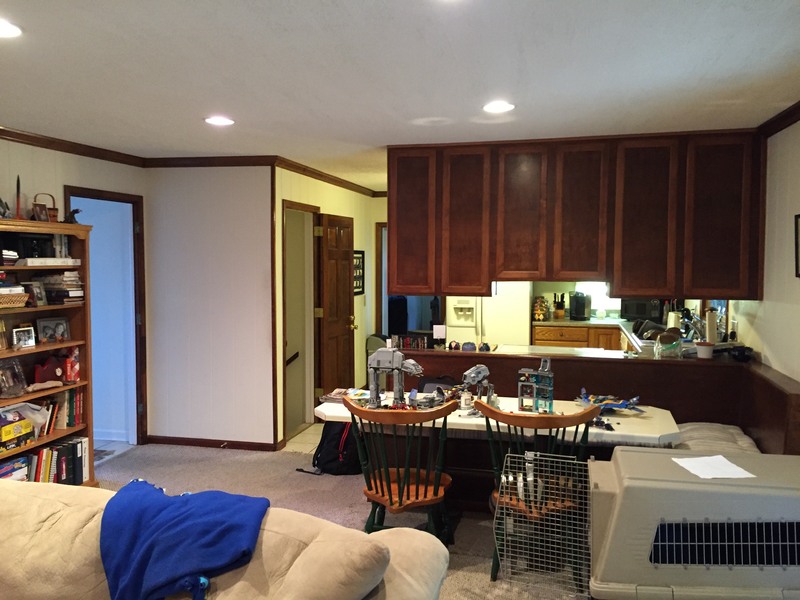 To see more Before and After Transformations, Look at our photo galleries below. Closet converts to cabinet pantry. Narrow shower stall in existing bathroom. The only thing that stayed the same in this bathroom was the toilet location. 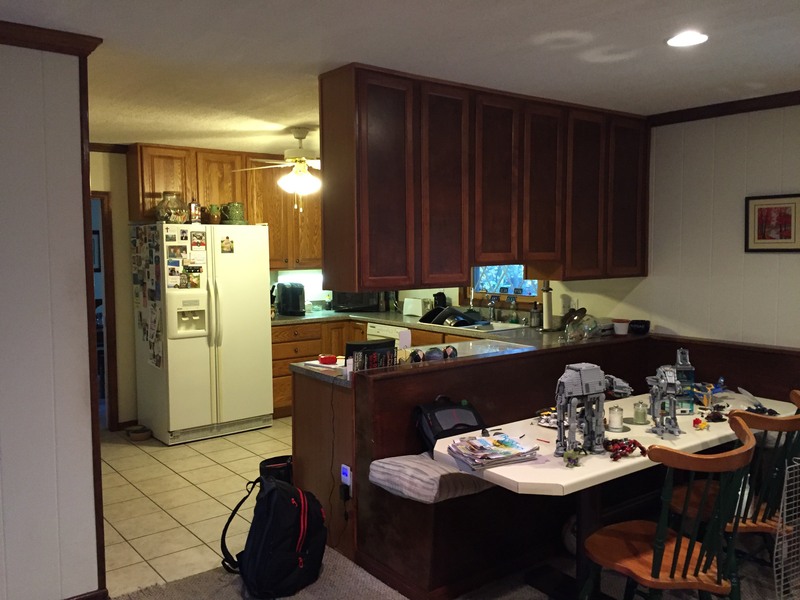 This kitchen needed a complete overhaul.